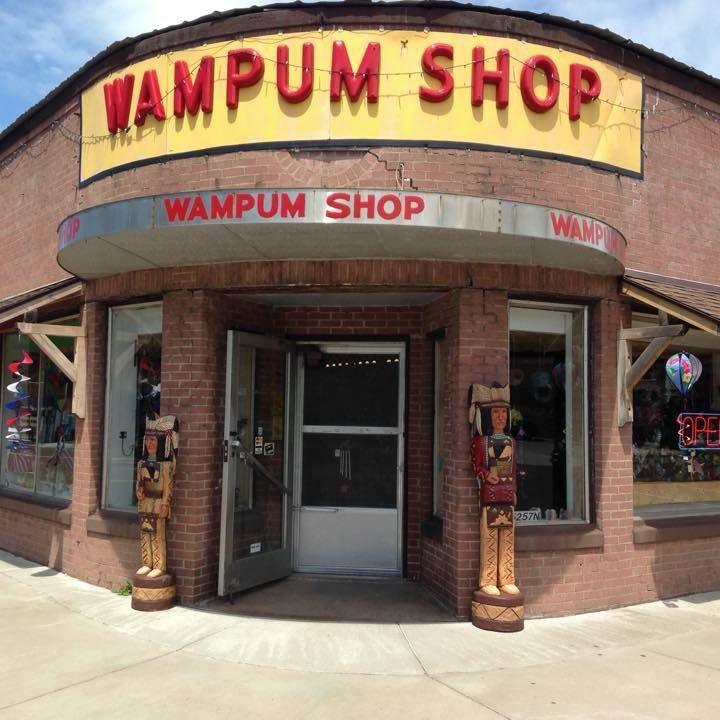 Established in 1950, the Wampum Shop has been a Northwoods tradition for generations of visitors. We specialize in memories, be they old or new, and we would love the chance to be a part of your up north vacation. We have 8,500 square feet of gifts and souvenirs, things you haven’t seen since you were a kid, things that will make you smile, things you never knew you couldn’t live without, and things that will make the kids go crazy (it’s a good thing, trust us). We sell old fashioned candy, the kind mom and dad had as kids, but also have some fun unexpected items that must be tried (the crickets are something to talk about). We handle a lot of old fashioned toys, things to take you back to the time when you were a child, but we also have all the crazy new items that your kids won’t be able to live without. We handle souvenir clothing for everyone: infant thru adult 4X, t-shirts, sweatshirts, pajamas and so much more to remember your vacation up north. We also have Minnetonka Moccasins, as well as a variety of other treats for your feet!! We also handle a huge variety of gifts and souvenirs: garden items, loon items, candles, soaps, toys for kids of all ages, home decor and so much more. So get the whole family together and head on over to the Wampum Shop. We promise, it’s worth the drive! !